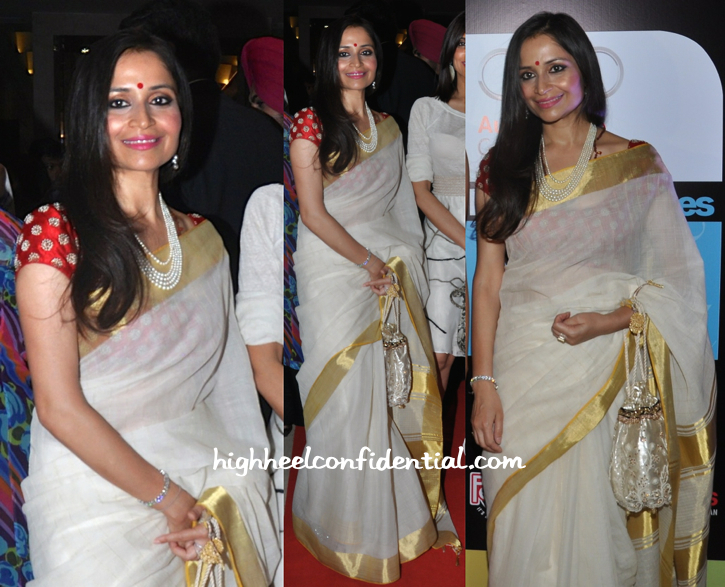 Sticking to the classics, Shalini kept it simple in her white and gold kasavu sari while at a recent event in the capital. Pairing the sari with a red blouse, she finished out her look with a bindi, multi-strand pearl necklace and an embellished potli. She looked lovely! Though this might be the first time she’s been featured on the blog, the lovely Ms. Jindal has always caught our eye with her saris. 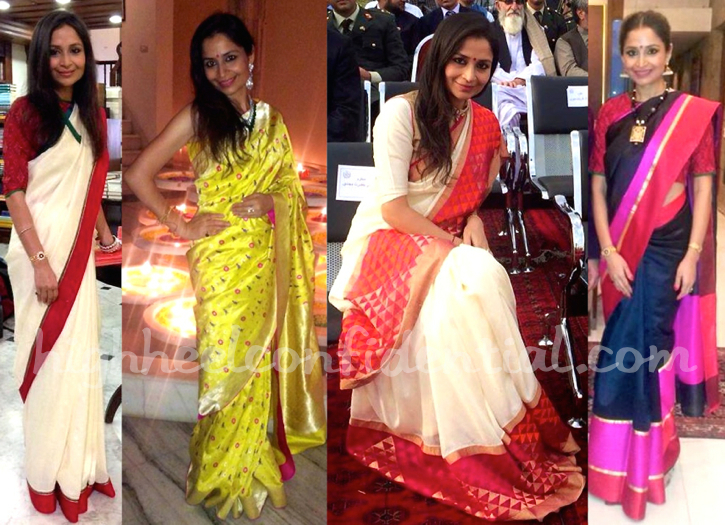 Featured below are some additional images of her wearing Raw Mango saris. Elegant. She looks beautiful in the last saree. Something about her reminds me of Rati Agnihotri. I have known Sanjay Garg for a long time now….his simplicity and love for Indian textiles shows in his work. Every collection is better than the previous. Absolutely heart the red/white saree she is wearing (sitting down). Any idea how one can order from Raw Mango? I live in the US.